A therapist or hygienist can attend for free with the purchase of a dentist ticket. Francis graduated from the University of Bristol in 1996, earning the Merit award for Orthodontics. He then graduated as a Specialist Orthodontist in 2002 with an MSc from the University of Bristol, and MOrth from the Royal College of Surgeons in Edinburgh. Francis was awarded the Chapman Prize at the British Orthodontic Conference in 2002. For 18 months, Francis worked as an Honorary Consultant in Christchurch, New Zealand. Here he treated cleft lip and palate, and orthognathic surgery cases. In 2004, Francis formed Anglia Orthodontics, the largest specialist provider of both Invisalign and conventional orthodontics in East Anglia. Francis is a well-known and respected member of the profession. He is a member of the British Dental Association, the British and the American Associations of Orthodontics, a Fellow of the World Federation of Orthodontists as well as a member of The Invisible Orthodontist group, who are at the forefront of “invisible” orthodontics. 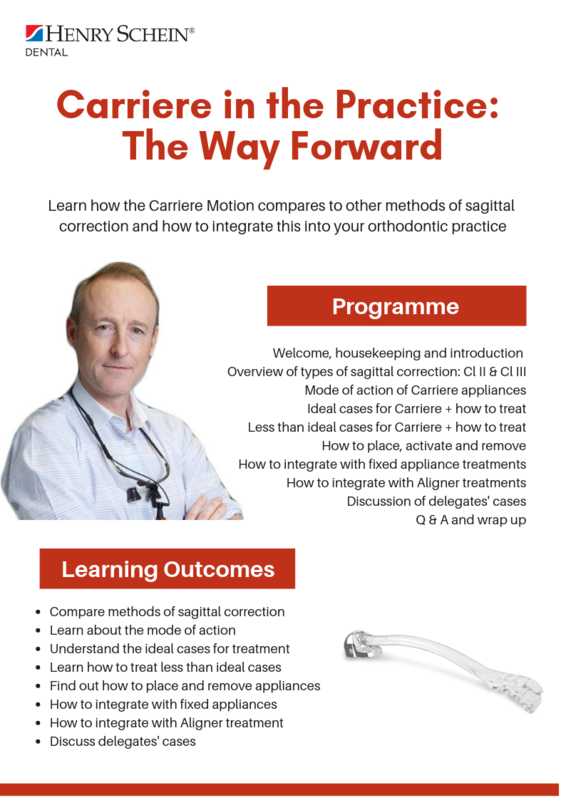 Francis is a committed user of the Carrière appliance and now treats almost all his sagittal corrections with the Motion Appliance. 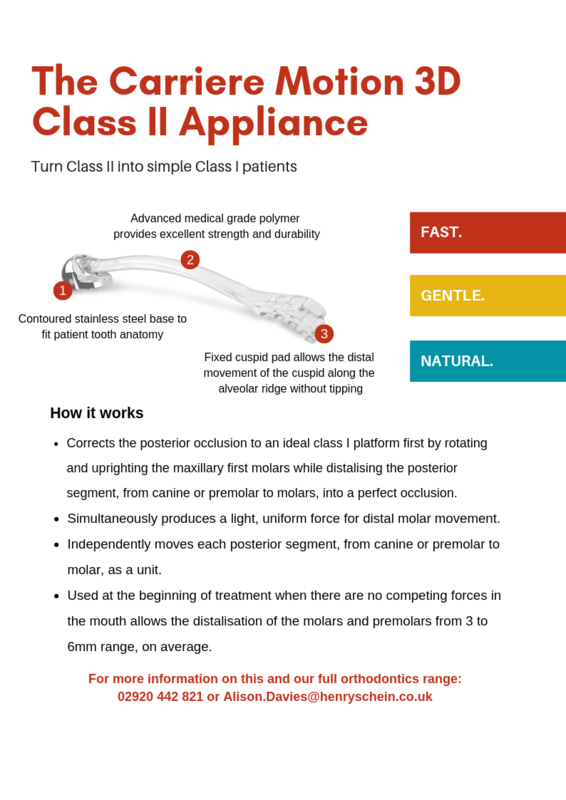 As an individual he is always looking for new and innovative ways forward for orthodontics to use in his day to day practice. Please bring either your printed ticket or your e-ticket on your phone. If someone would like to attend in your place, please let us know so we can update your booking. Henry Schein Dental understands that to run a successful practice, dentists and their teams need to have access to a wide range of products, services and support. To help practices achieve their vision, Henry Schein Dental offers local account managers supported by teams of dedicated product specialists. The team has years of expertise across the entire full service portfolio, ensuring they deliver the solutions best suited to your practice. So, whether you need help with consumables, equipment, decontamination, digital imaging, implants, whitening products, service and repairs or even business support and marketing, Henry Schein Dental can provide everything you need to help you run a more efficient and profitable practice.